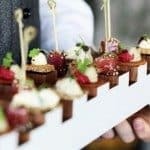 Overlooking the stunning Sussex Downs, Qatar Goodwood Festival hospitality is like no other, this truly is the pinnacle of Britain’s sporting calendar. 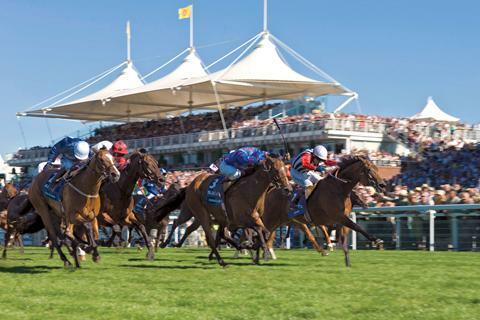 This week long festival brings the world’s best thoroughbreds to Sussex as they battle it out for the honours and prize money at flat racing’s finest event. 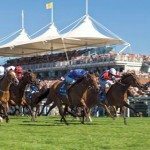 Team Tactics offers a superb selection of hospitality options at the spectacle that is Qatar Goodwood. 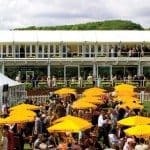 Together we can make your corporate day at Goodwood something to remember at this most beautiful racecourse with its tradition and signature style. 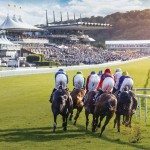 Glorious Goodwood – its location, ambience, top class racing and superior entertaining make for a perfect corporate day out. 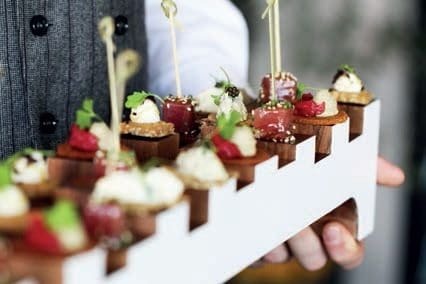 Goodwood is famous for it’s attention to detail and there is a range of facilities for guests to choose from, all offering unparalleled service levels and the very best food and wine. 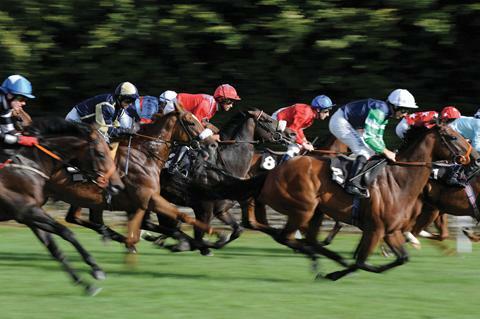 Held over five days from Tuesday to Saturday, racing fixtures include Sussex Stakes Day on Wednesday, Ladies Day on Thursday, Betfred Mile Day, and Gordon’s King George Stakes.Friday and Saturday closes with the Stewards Cup day and the fabulous cavalry charge of over 28 horses sprinting in the Blue Square Stewards Cup – a fabulous horse racing spectacle. 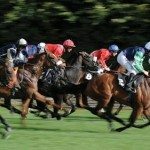 Races are held between 2.00pm and 5.30pm. 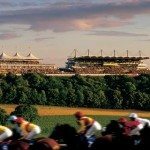 The Qatar Goodwood Festival is set in the beautiful Sussex Downs and is considered to be one of the worlds most spectacular racecourses. 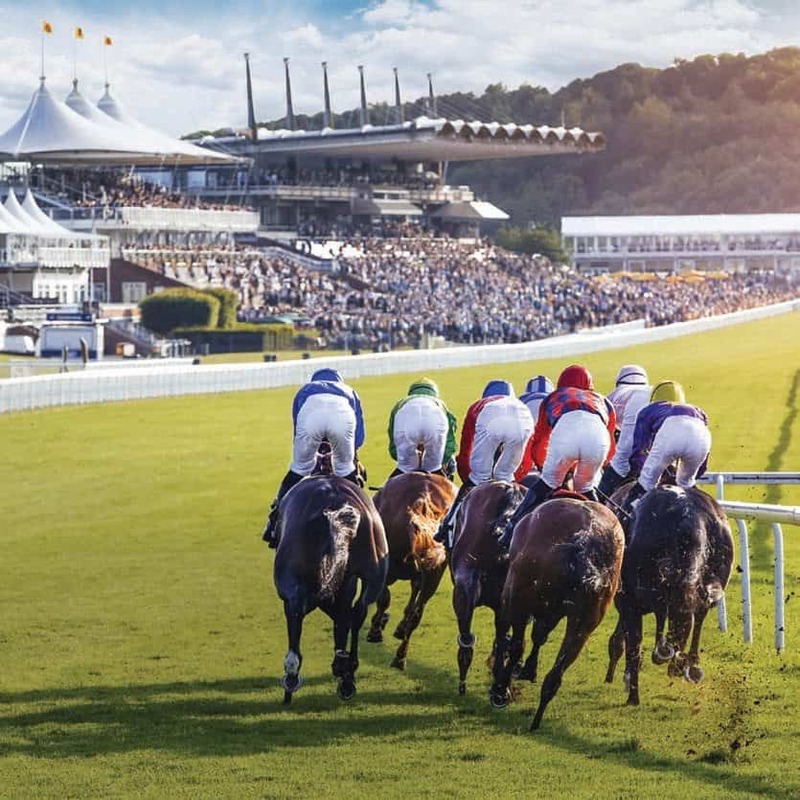 Most commonly known as ‘Glorious Goodwood’, this is the Goodwood estates most iconic event of the year. Late July welcomes thousands of spectators to the most prestigious date in British racing’s social calendar. 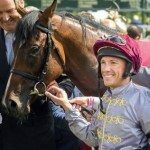 With a prize fund of over £4.5 million and a race meeting over 5 breath taking days it’s easy to understand why the Qatar Goodwood Festival is the most popular meeting of the year. 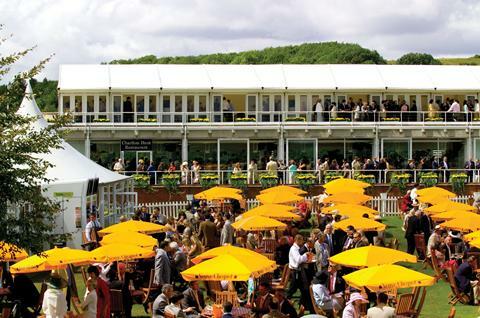 Goodwood is famous for its relaxed and stylish approach so it’s important to consider your outfit for the day. 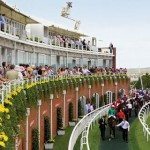 For many it is the entertaining highlight of the year so it is essential you know what enclosure you are going to be in and its dress code. 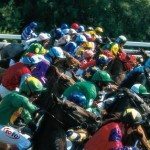 At all races in the Richmond Enclosure gentlemen are required to wear jackets and either ties, cravats or polo-necked sweaters in the Richmond Enclosure. Males traditionally wear linen suits, waistcoats (with jackets) and the classic ‘Goodwood’ Panama hats. Jeans and shorts are not permitted in the Richmond Enclosure. 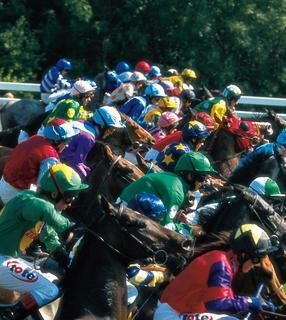 Ladies are encouraged to wear hats in the Richmond Enclosure at Glorious Goodwood. Bare chests and fancy dress are not allowed in any enclosure. Stiletto heels are not recommended due to the terrain and decked areas. In the Gordon Enclosure dress is informal. Bare chests and fancy dress are not allowed in any enclosure. Stiletto heels are not recommended due to the terrain and decked areas. Gentlemen are discouraged from wearing shorts and sleeveless tops in the Gordon Enclosure. Ladies should also dress smartly and are encouraged to wear hats at the Festival Meeting. Jeans and shorts are not permitted at any meeting, for men or women. 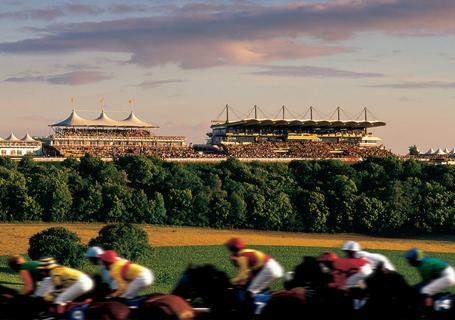 Goodwood is located just outside Chichester and just 60 miles from London and 30 miles from Southampton and Brighton. 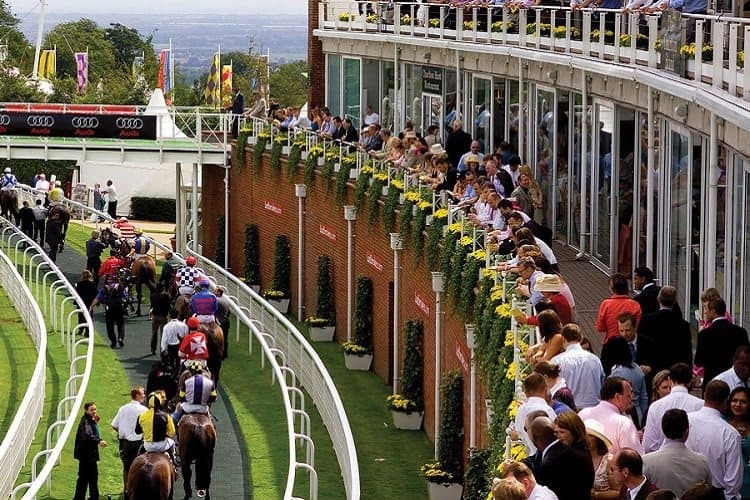 The racecourse is accessible from London via the A3, from the east via A27 and from the west also via the A27. There is a regular service from London Victoria to Chichester (1 hour and 40 minutes), plus a coastal service from Brighton and Portsmouth. 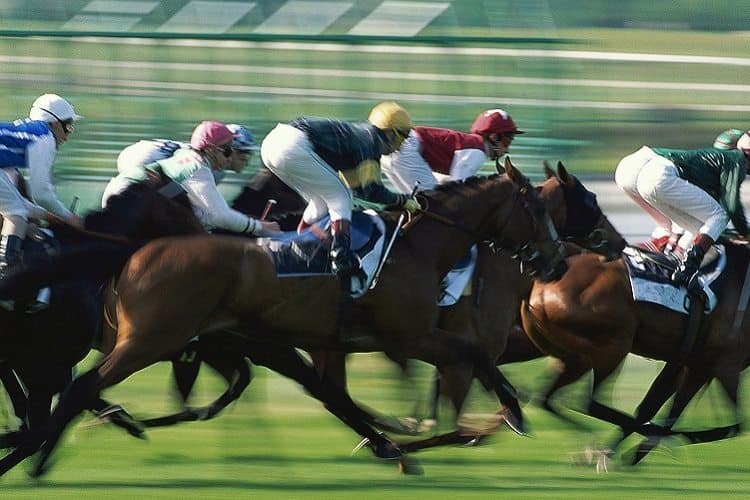 Plenty of taxis and buses are available from Chichester railway station to the racecourse. From London/Gatwick Airport – LGW, follow the M23 south towards Brighton, at Junction 11 turn onto the A264 before taking the A24 towards Worthing followed by the A27 towards Chichester. 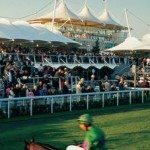 Follow signs for Goodwood Racecourse. From London/Heathrow Airport – LHR, follow the A3 south towards Guildford. 3 miles past Guildford at the Milford turning take the A283 to Petworth, then the A285 to Chichester for about 6 miles. Follow signs to Goodwood Racecourse. 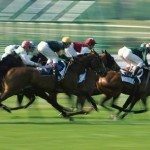 To Goodwood Aerodrome, flying into Goodwood provides an easy and stress free way to travel to the big event. 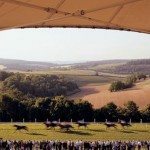 Guests can enjoy views of the iconic scenery and the beautiful surroundings of Goodwood in a truly unique way to arrive at the Qatar Goodwood Festival. 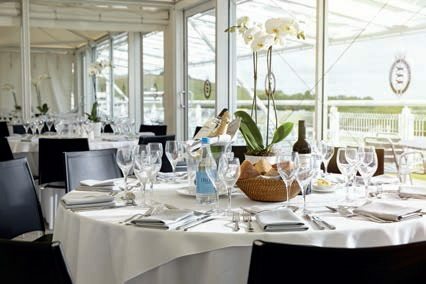 The prestigious Charlton Hunt restaurant is located on the first floor of the Charlton stand located in the Richmond Enclosure from which guests will enjoy spectacular views from Chichester to the Isle of Wight. 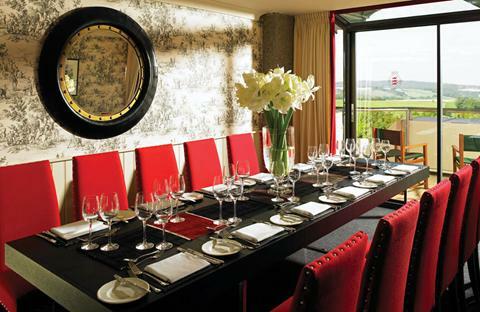 With a glass frontage and extensive balcony, the restaurant is course facing and side on viewing, allowing guests can watch as jockeys and horses walk past on their way to the track. 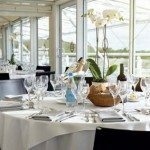 Entertaining in the Charlton Hunt Restaurant offers a buzzy environment in which to entertain clients at Qatar Goodwood Festival 2017. Private tables available for 2 guests and upwards. 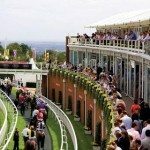 At The Qatar Goodwood Festival 2017, we’re able to offer a limited number of exclusive boxes with private balconies in the March Grandstand, where guests can enjoy Glorious Goodwood in the privacy and comfort of their own facility. 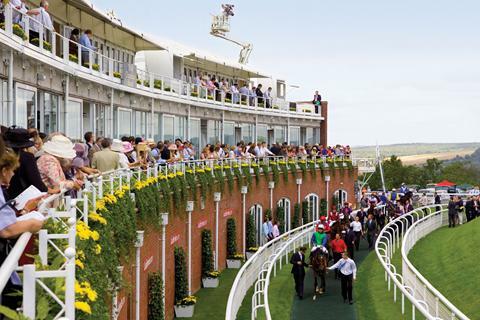 March Stand boxes offer either course or paddock views. 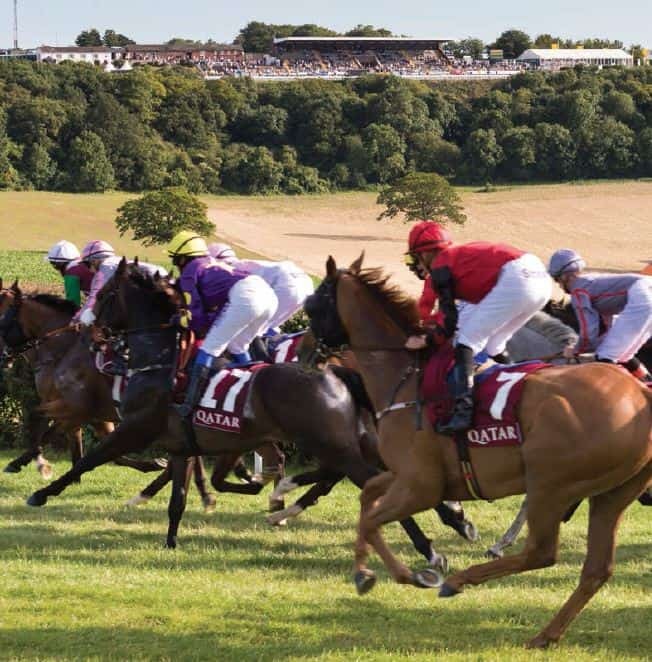 Course facing boxes are immediately opposite the finish line whilst Paddock facing boxes offer views of the Downs and across the Solent to the Isle of Wight. 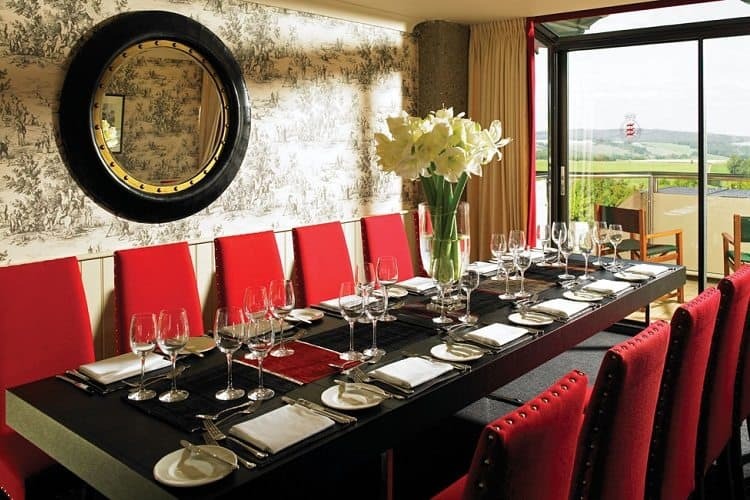 Both options for March Stand private boxes offer balconies with their respective stunning views and both are designed for 12 guests. 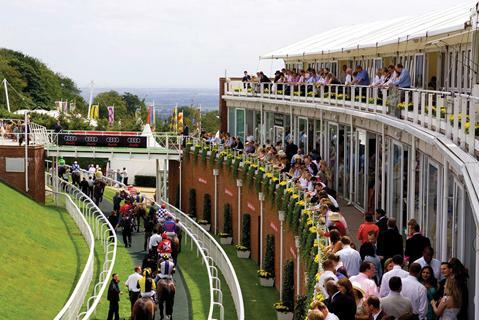 Viewing the racing during Glorious Goodwood in a March Stand Course Facing Box can be from The Richmond Lawns below or, for an extra cost, Richmond Seats one flight below. 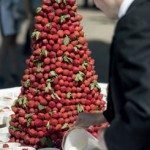 All boxes can entertain parties of up to 12 guests. This private facility has a wonderful airy feel to them providing a clear view outside due to a glass fronted covered balcony. 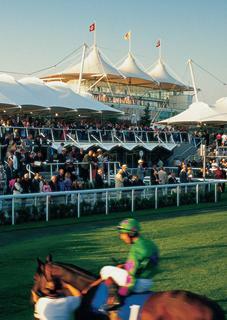 The are situated next to The Sussex Stand and are within a furlong of the Winning Post. 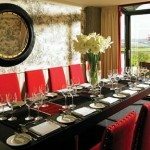 All suites accommodate 32 or multiples thereof for seated dining. 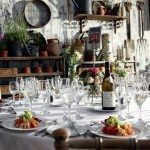 A short walk from the finish line, guests at the new Secret Garden can relax in the facilities stunning country garden. 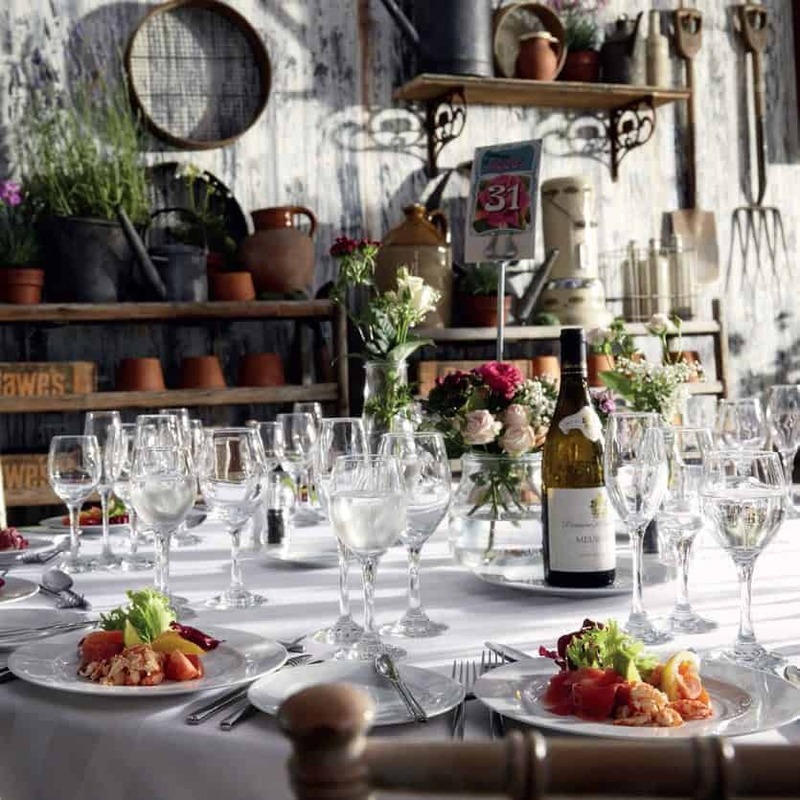 A sumptuous three-course lunch at the chef’s table from one of Goodwood’s top chefs along with the exceptional service provided makes the Secret Garden an exceptional option for entertaining. 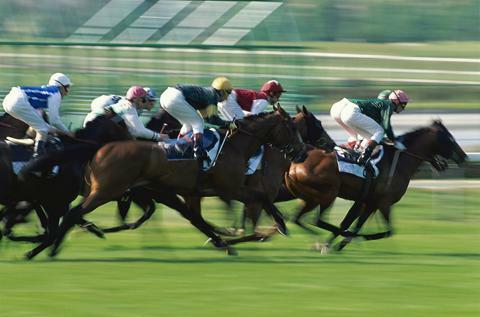 The Final Furlong is situated in the Gordon Enclosure situated in the heart of the Racecourse amidst all the action. 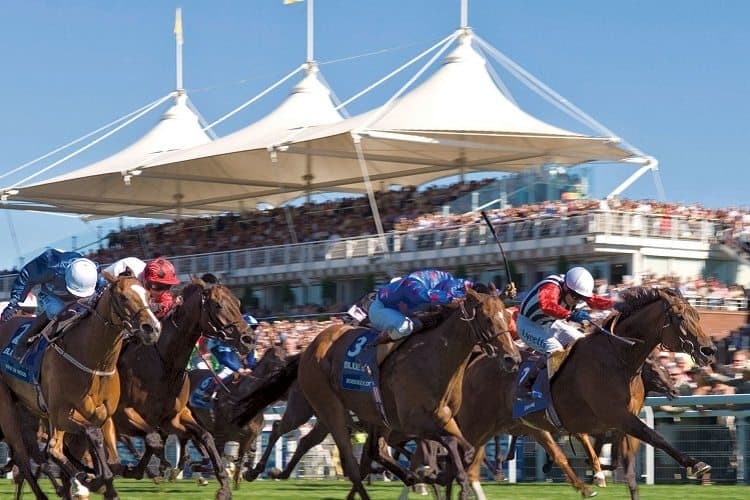 It has its own lawn area, the Sussex Lawns, the fantastic glass fronted Gordon Pavilion and roof terrace as well as an extensive range of betting facilities. 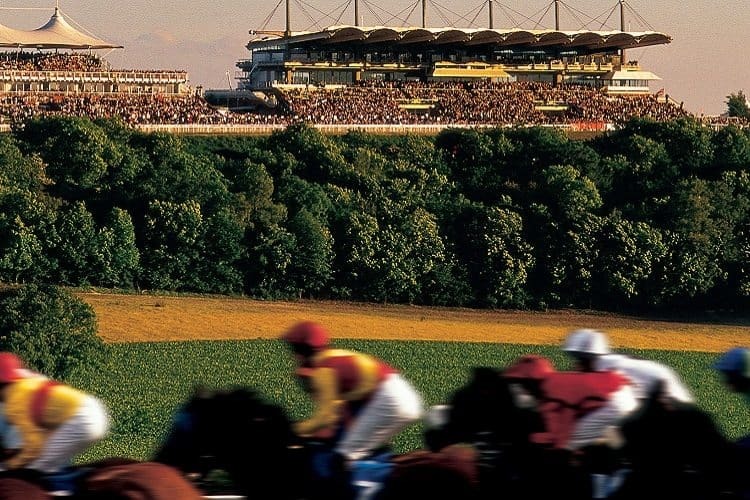 The Final Furlong is a course facing facility with superb views of the horses racing down towards the winning post. 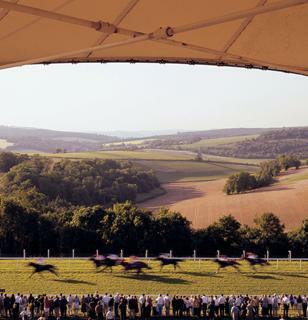 I entertained clients at Glorious Goodwood. All arrangements were made by Team Tactics. 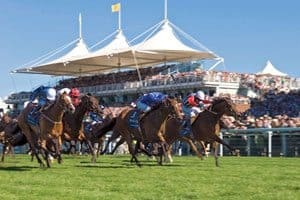 The day was well organised and I would Highly recommend the Double Trigger Club as a base for a day at Goodwood. 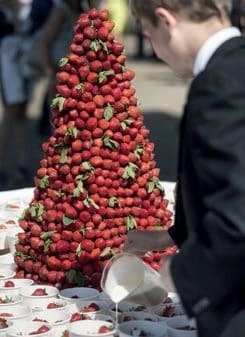 I regularaly attend corporate race days and I would rate this particular venue as one of the best. 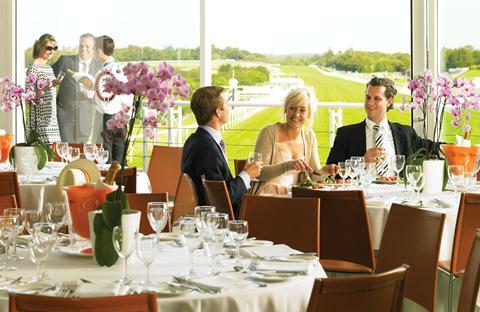 It is situated in the best enclosure, is close to the track and the food is excellent. I would definitely return and would definitely make my arrangements with Team Tactics again.